What product is made for me? MÊME on a mission ! 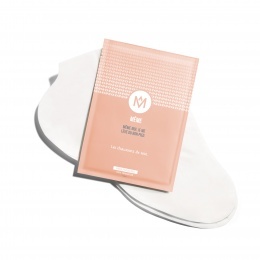 MÊME is the first brand of beauty products specifically designed for women affected by cancer. An expert brand, positive and feminine. Cancer treatments and particularly chemotherapy and radiotherapy can damage the skin. To prevent and limit side effects, it is necessary to take care of yourself before starting the treatments with clean and safe skin products, non-toxic cosmetics. The demanding nature and the rigor in the ingredients used is MÊME's trademark. Our products are elaborated with oncologists and dermatologists. They are made in France. Because it is important for us to always go one step further, we eliminated all harmful ingredients associated with cancer (as phenoxyethanol, aluminum and silicon) and hormonal imbalances as a precaution. 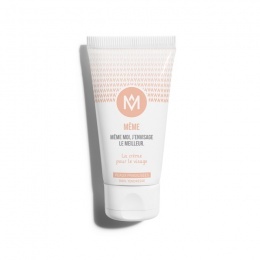 MÊME offers you a range of 7 products adapted even to the most fragile of skins, including facial and scalp cares, body cares, hands and feet cares. These cosmetics have been clinically tested and approved by 70 women undergoing cancer treatments. There's also, a range of nail polishes enriched with silicon and a natural nail polish remover, to feel pretty and take care of yourself during treatments. But MÊME is, above all, a 100% tenderness brand, embodying pleasure and softness: because it is important to feel feminine during cancer, because even sick, I love myself.